So this is kinda out of season (however, given the horrendous snowfall we received yesterday, perhaps it is just giving the white Christmas we should’ve had instead of that ice storm back in December). 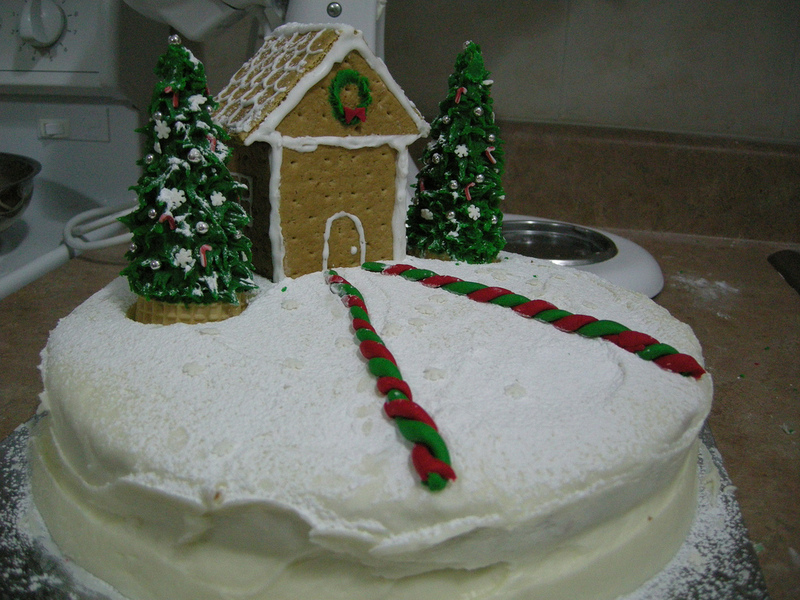 I decided to dig up some old photos of some of my earlier attempts at holiday cake decorating. I would never say I’m a pro now but it is quite humbling to see how I started and how much I’ve learned through the years. So if you’re attempting to make a cake and it just cannot hold itself together, don’t get discouraged. We’ve all been there; pre-crumbcoat. Practice makes more practice perfect. 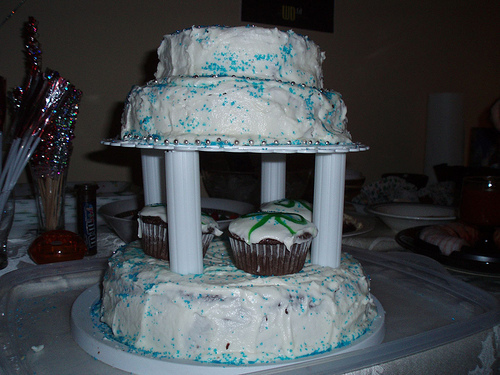 Pictured above is the cake from Christmas 2013. The tree is made from an ice cream cone and presents are shaped using rice krispie treats and wrapped in fondant. 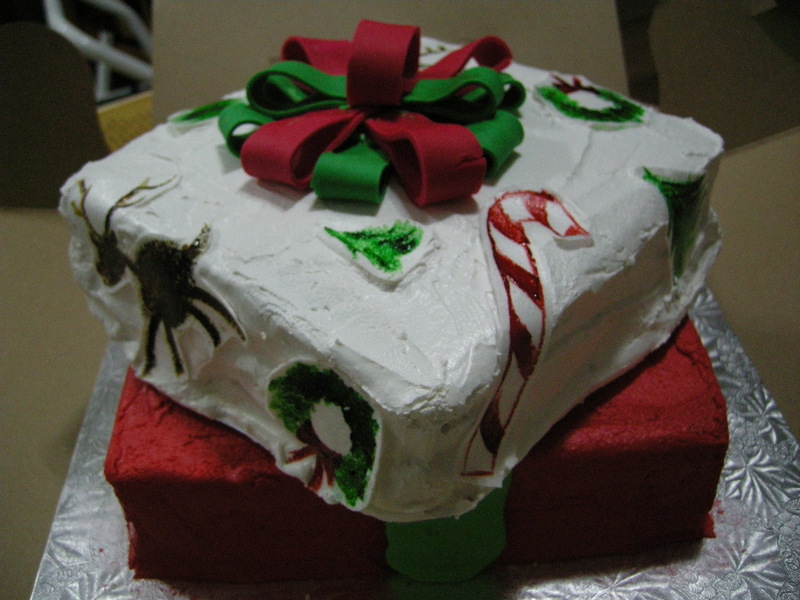 2009 was a trying year – due to an accident, I was out of commission for a while but I was determined to have an epic cake comeback with multi-tier cake with a spinning snowman! Suffice to say, I’ve had all evidence of its existence destroyed. There were many other cakes since then that have helped me hone in my skills. 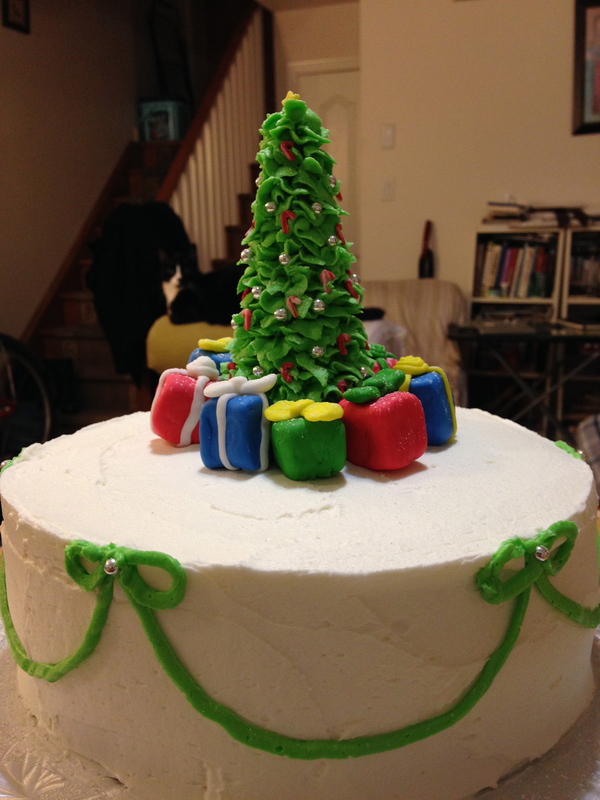 Perhaps they’ll eventually find their way to this blog but until then, Merry Cakemas!